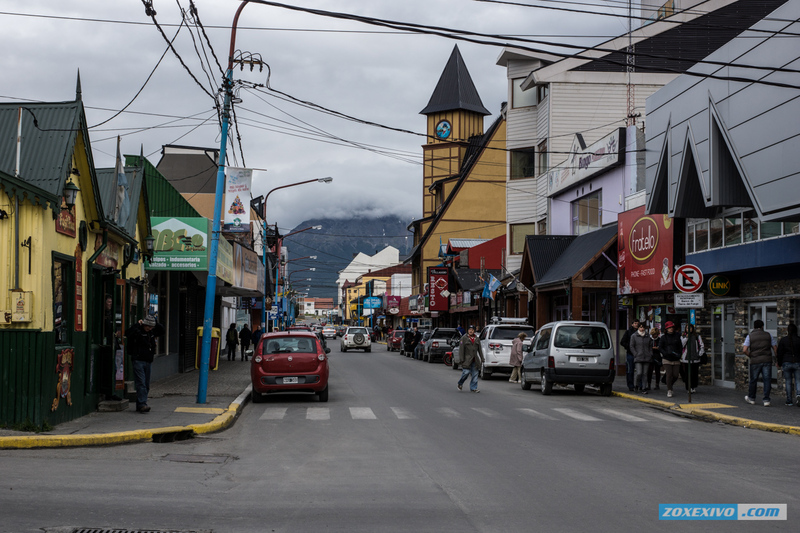 Ushuaia - the southernmost city in the world , end of the world as it is often called here. Of course , there are settlements and to the south , but this is no longer the city , but just small towns ( if that word in relation to South America ) . It is located on the island of Tierra del Fuego (Argentina), in Patagonia, which is strongly associated in our minds with distant travel famous explorers : Magellan, Columbus , etc. 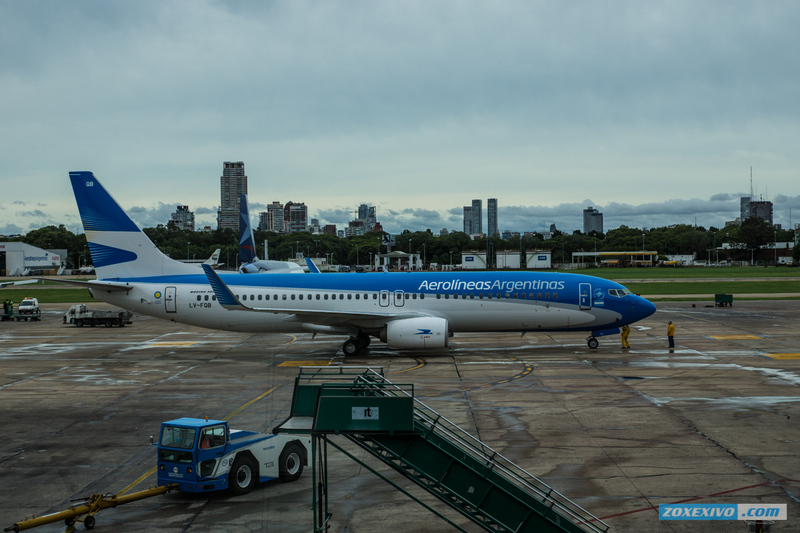 In Ushuaia fly two local airlines - LAN and Aerolines Argentina. In the travel season airlines produce heavy artillery - Boeing and Airbus , and almost always they fly completely filled . Our fleet is fairly new and is not of concern. Reach the outskirts of Buenos Aires Pistarini Airport and immediately at the exit , take a taxi to another airport - John Newbery . Not impossible to find a taxi . As soon as you move to the exit, you'll see girls offering taxi services . They offer it on a formal basis and can not worry about that the taxi driver asks unreal amount and somehow deceive you . You will immediately come to the cashier and pay slips , and after that she shows you the driver you eat and where you need it . Taxi fare between the two airports - 40USD. While you go by taxi , do not stop to be horrified - Buenos Aires does not look awful , but you can say is defective : the greatest aversion cause flats , are not like the usual sleeping box and look like popilennye box with small windows. As it turned out - the wrong feeling. Just between the two airports is expensive does not follow the best of its districts , and the city is so big that just climb eye on his forehead . Since South America was settled by the Spaniards, Spanish architecture was to be expected and I waited for her . 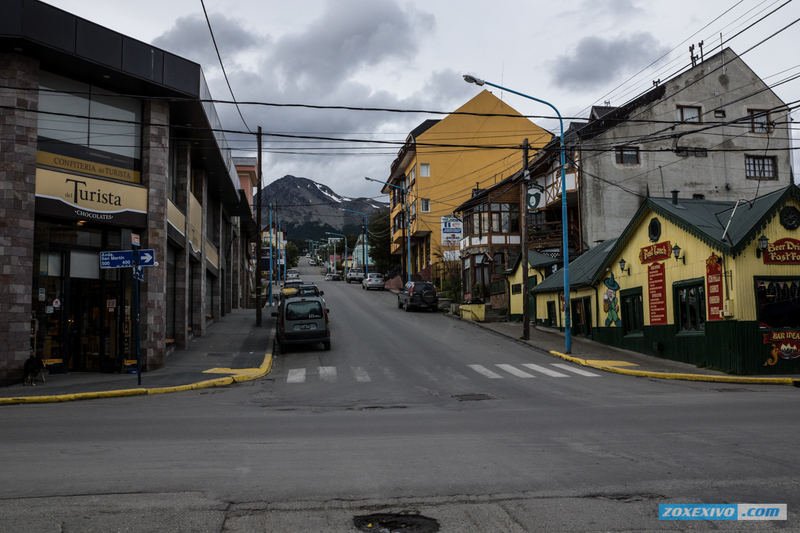 After arrival in Ushuaia , I realized what it reminded me of the city . It is similar to Andorra La Vella , if it were in place in Murmansk . Ie both European architecture and certain detachment that is felt due to the nature that resembles the north of Russia : derevere small , yellow-green desert , as the tundra. As I have said , the city is very civilized and not very expensive . 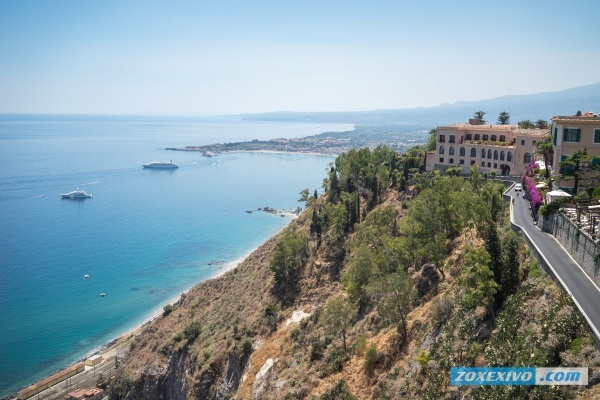 In the tourist season hotel prices rise , but the food is still not so expensive . Here and steaks ( tastier did not try) and giant crabs and other seafood . A lot of tourists and clearly traced contingent - English-speaking elderly couple (U.S. and Europe) and Asians ( they're everywhere ) . Many tourists say that if 5 years ago, they almost did not meet Russian people , traveling the world , but now they see them very often, and it pleases them . 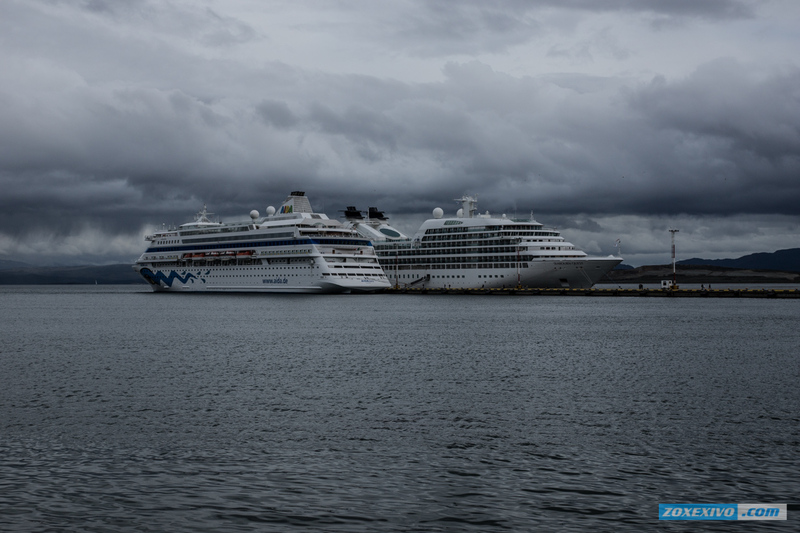 The city is located on the shores of the Beagle Channel and the weather looks very severe and thus more attractive . Come to the edge of the light and see the sun - not the best idea. 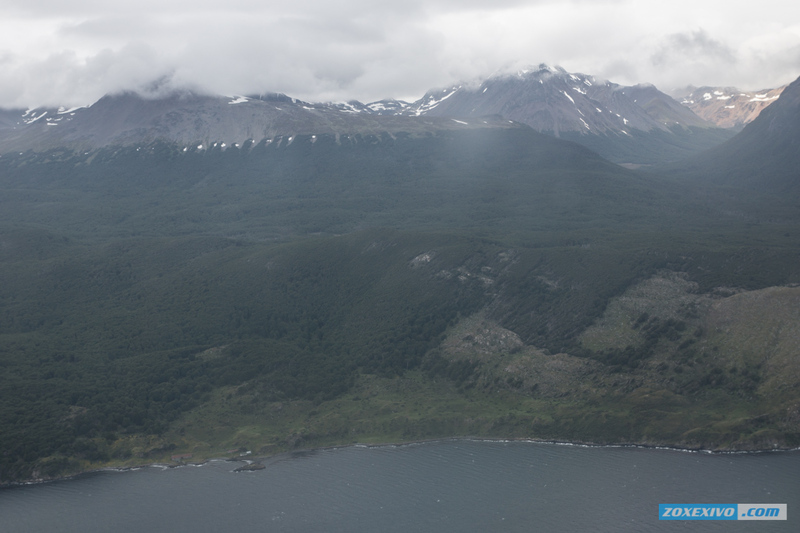 These mountains , clouds , and most importantly - the realization that quite near to Antarctica , gives a special feeling . Ride on the canal beagle see sea lions and penguins Magelanskih , wander around the islands - is not it great. Whats up! I simply want to give a huge thumbs up for the good information you've here on this post. I will likely be coming again to your blog for extra soon. Often hang out in your blog with dreams of travel. 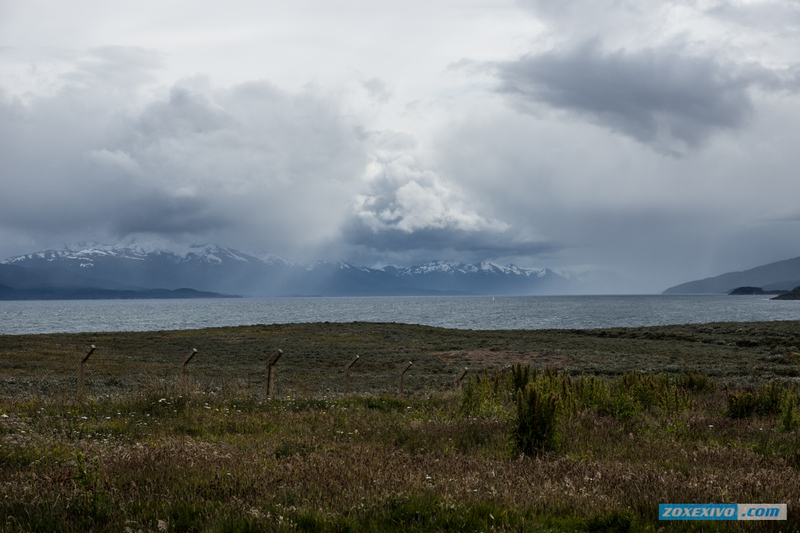 Argentina had never been, and beautiful photos vashy gave me the courage to think about the journey. Gathered enough money this spring with a group of friends and decided to Argentina flag. The first thing that surprised - is that Buenos Aires does not look like in the Argentine television series from childhood, and really very poor and gloomy. Had the impression that the entire city is so grim, but fortunately we have dispelled this impression then. 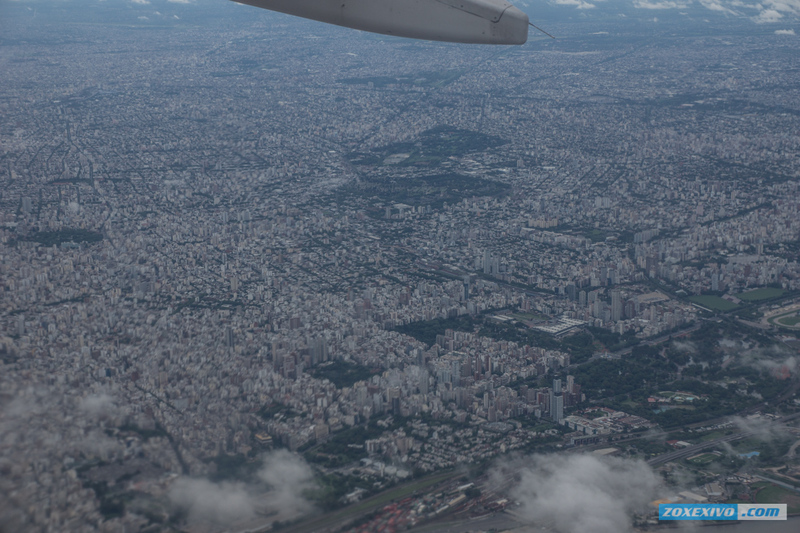 Buenos Aires is just huge! And of course, we can not say that it monotonous. Everywhere there is something to see. In Ushuaia arrived late at night, since delayed our flight, so I have a problem with finding accommodation. Were seven of us and all panicked. Hit the road to catch a taxi driver who drove us to some hotel. Frankly, I do not trust he inspired, but in the morning, in the hotel cafe trying these giants crabs, we monophonic reshyli stay. The food here is really tasty and not very expensive. We are at the beginning of a trip thought we'd cook yourself, but decided to eat in cafes and restaurants will be easier and even cheaper. Very strange to see here pingivnov and seals. Thought once the southernmost city, the animals there and leading south (not elephants, of course, but no penguins). Even the weather was very favorable, nor have we not got cold and the rain. I really wanted to get to the Carnival of the Country, but we are not planning a trip specifically for this event, so that it is clear we did not get to the carnival. But we managed to find a place where you can send an email with "Doomsday". Sent itself to every letter. Since the trip took two months, we have received nothing. But there is nothing to be surprised - "Mail of Russia" :) skated on ships. From the deck especially in the spot these huge rocks. Look at them and realize how small you are and how little significance in this world. They are century, protect someone from storms and winds. What are you doing? 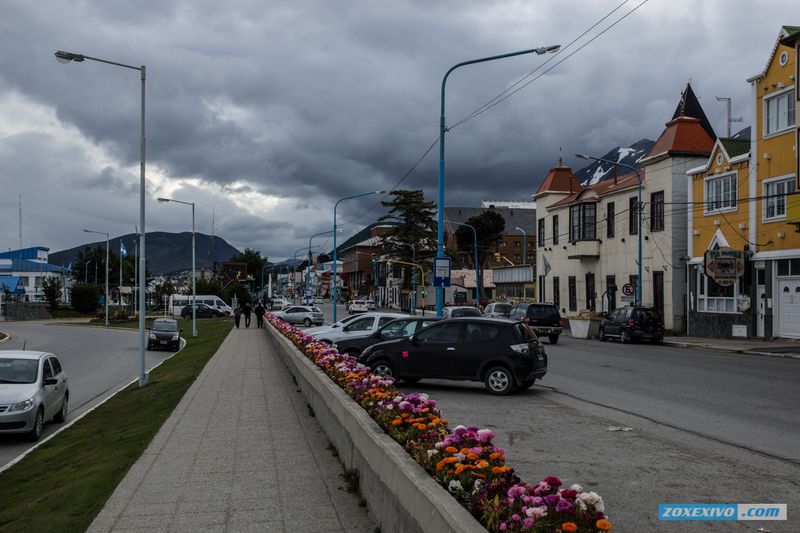 Often walking around the city, we were met with Russian tourists, who also came posmotet beauty of Ushuaia. Here, on the edge of the Earth, like all native. Nafotografirovalis, sat, drank wine on a terrace, shared contact to meet at home. I especially liked the old lighthouses, to which seems within reach, so you can see them clearly. Pm on the waterfront, with good company ... I honestly miss them. Back home did not want to. I live in a small town and worked for many years as a teacher of geography. I found this site on the internet by accident and it turned out for me just a real gem. All articles are very informative and interesting, and the photos are just a miracle. I really love traveling and romantic by nature, but you know that a trip to South America just a teacher can not afford. But I am not discouraged, because you can travel and virtually benefit that now have, with which you can go anywhere in the world. 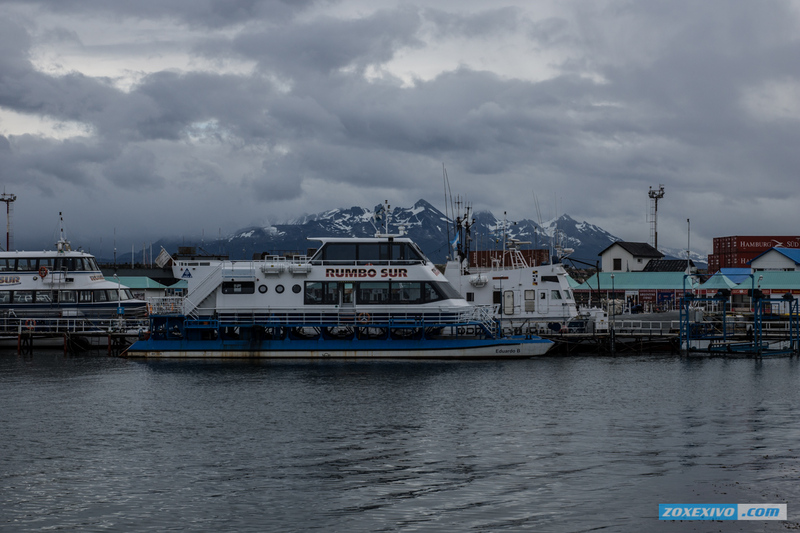 After reading an article about the Argentine city of Ushuaia and admiring its beauty in photographs, I decided to prepare their students for the lesson-journey. 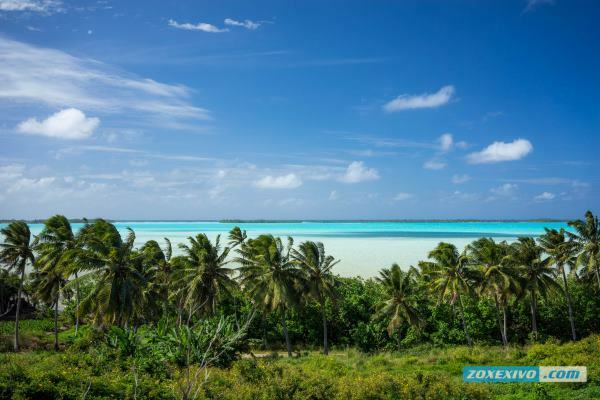 Ashamed to admit it, but I did not know that the city Ushayya the southernmost city in the world, and indeed had not even heard of him. 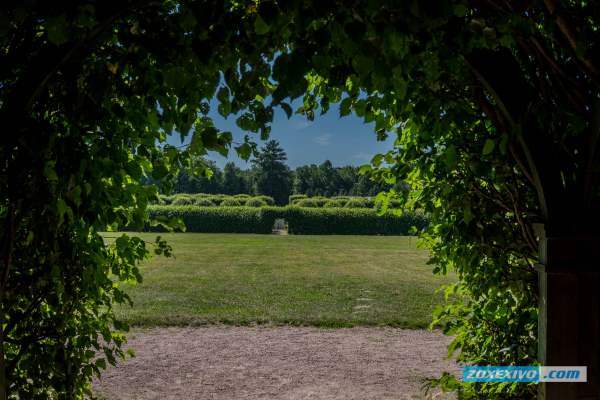 The textbooks about Argentina is given quite scanty information, so to satisfy the curiosity of students interested in geography, it is necessary to use additional sources of information, for example such as this article. My students listened with great interest the story about the amazing nature Ushayi looked illustration, and then each of them wrote geosochinenie titled "My Journey to the southernmost city in the world." The climate here is favorable, since Argentina better location than in Chile. Measured rhythm of the city: narrow street, almost no high-rises that steal space, especially the sky. There are several styles intertwined-home alone all too reminiscent of Switzerland, others about South America. Here reconcile the irreconcilable. Impressive and double-decker buses that whether red would transfer us to England. There are quite comfortable hotels that are simple and at the same time cozy. From the promenade you can see presentable steamers that ply constantly. Naturally, it is better to get here by plane. Here fly Boeings, which are always filled. The most impressive and fascinating for me was, what next Antarctica with its penguins and seals. Observe them-one pleasure. City is not expensive, the food does not increase the price even during the tourist season. Most tourists are from England and Asia. I am glad that sometimes Russian speech sounds here. 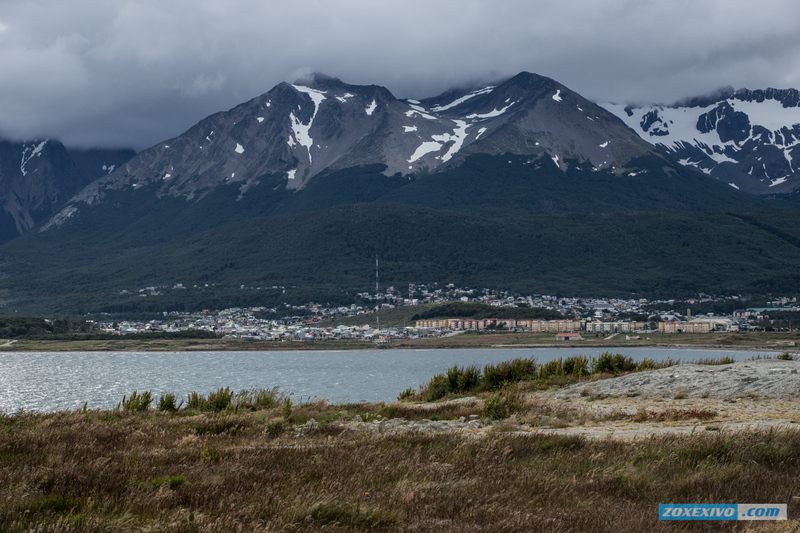 Ushuaia is worth a visit, to stop and take the time to enjoy the tranquility. Who wants it, then you here.